On The Edge- The Brand. 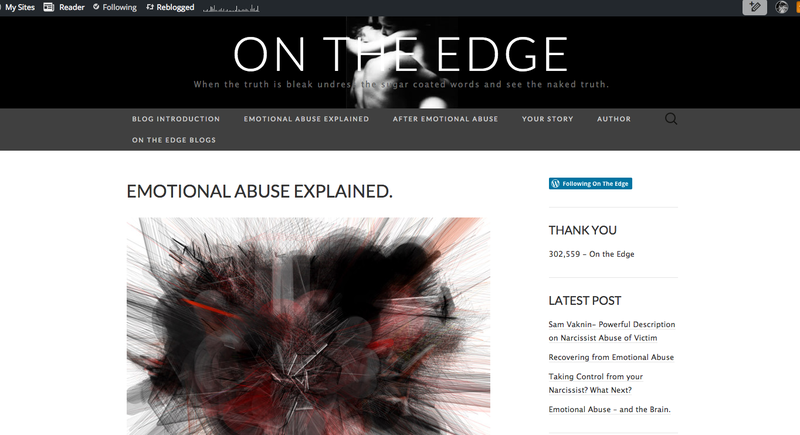 ‘After’ Emotional Abuse – On The Edge ‘After’ is dedicated to educating the public regarding the nature of psychological abuse providing information on personality traits of narcissists, psychopaths and sociopaths and its cost to individuals and society. The posts share professional and expert knowledge to help victims of mental abuse, understand their trauma, rebuild self-belief and self-esteem, and support them in their resolve to be free from the abuse. ‘After’ seeks to support victims of emotional abuse and their families and friends. Eventide – A dark, profound psychological thriller; in the course of a year two people intertwine in two tales of passion and survival; treachery and destruction. ‘Eventide’ psychological thriller is centered on the human mind. Its most common themes are philosophical and psychological in nature, such as identity, honesty, determinism, fatalism, sanity, duplicity, and the exploration of the darker sides of the human behavioral motivation. 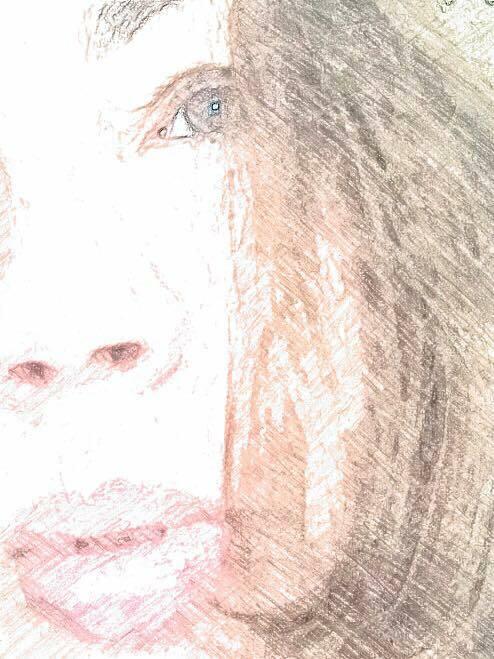 Poetry On Life’s Journey – This was the first blog I wrote. This entry was posted in On The Edge Blogs. Tagged #abuse, #life #love #narcissism, #psychotherapy, #psycologicalthriller, Emotional Abuse. Next Post Next post: Emotional Abuse – and the Brain.